This is one question you would be thinking when you get your new shiny Apple iPhone 8 or a Samsung Galaxy S9. The Samsung S9 has the Corning Gorilla Glass 5 protection and Apple also uses a toughened glass to make the iPhone 8 or iPhone X screen scratch resistant. It is also interesting to know that the first phone with the Gorilla Glass was the original iPhone. Actually, Corning developed the Gorilla Glass for mobiles on behest of Steve Jobs and Apple has invested a huge amount of money in Corning to create a better glass for mobiles. Also, recently the company has announced the Gorilla Glass 6 which is even harder and more resistant to breaking than the Gorilla Glass 5. But the question is do you still need a screen protector after all the advancement in the hardened glass technology. Moreover, most of the new mid-range Android smartphones come with some kind of hard scratch resistant glass which promises to keep your smartphone scratch proof. The major culprits for scratches are keys in your pockets and the tiny dust or sand particles can also create micro-scratches on a mobile screen. Do You Need a Tempered Glass or Plastic Screen Protector? Even With Corning Gorilla Glass 6, 5,4,3 etc? Now the question is does Gorilla glass protects the screen from keys, sand, and metallic coins or even when you drop your smartphone. The answer is Yes. But can it prevent from micro-scratching when your mobile hits anything hard on the Mohs Scale? The answer is No. Even with the hardest of Gorilla Glass protection, you will still find that the micro-scratches start to appear on the display after a few days of usage. I read many articles which clearly tells me that if you have a modern smartphone with the Gorilla glass 5, you don’t require a screen guard for the smartphone. Before I tell you whether you should use or not a screen protector, let me share with you a small personal experience. My Experience: Using a Smartphone without a Screen Protector in 2018? I was using the Samsung Galaxy S7 (Corning Gorilla Glass 4) and recently shifted to the Asus Zenfone 5z which comes with the Gorilla Glass 3 for protection. I even have the Xiaomi Mi A2 (a review unit) that comes with the Corning Gorilla Glass 5. All these phones are in use for more than 2 months now. Also, the Gorilla Glass 6 is nearly same as the Gorilla Glass 5 when it comes to scratch resistant but it can take more falls or drops which makes it slightly better. I have been using it for nearly 2 years without the screen protector but always use a silicon case, which protects the display in case of a fall. Rarely, keep it in the jeans pockets as most micro-scratches comes in pockets with minor dust or keys etc. There are several micro-scratches that have come on screen but are very fine and don’t bother much. I like to use the mobile without the screen protector, the experience of using the smartphone without it is really good. The touch response from the screen is far smoother and it is easy to type and use the smartphone with the increased sensitivity. However, if you want the display to stay in the flawless condition I would suggest using a screen protector. 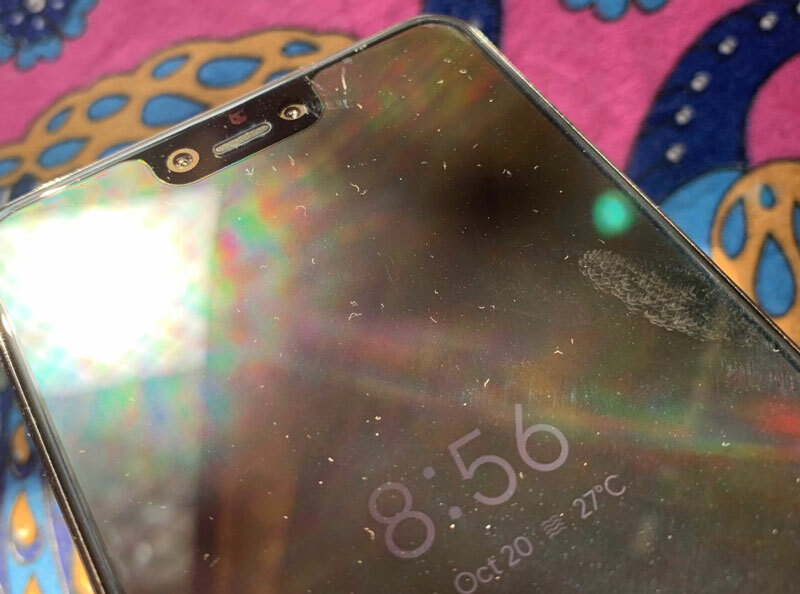 I have been using the Zenfone 5Z for almost 2 months now, and initially, I did not use a screen protector but after some days of normal usage, a lot of micro-scratches started to appear. I am not someone who fumbles and drops the smartphone every now and then, I take utmost care of it. I never keep keys or coins in the same pocket, I usually keep my smartphone. Even after all these precautions, I observed the fine marks on the screen. This made me realize that it is better to use a protector. I immediately ordered a tempered glass screen protector. Most Likely the scratches on my smartphone were caused by sand particles as they are sharp enough to create very thin scratches even on a toughened Gorilla glass. If you keep smartphone in Jeans front pocket you will also observe this happening, better use a screen protector . You can either buy the toughened glass screen protectors which are fairly easy to install compared to the plastic screen protectors or buy the conventional plastic film screen protectors. Even Phones like the latest Google Pixel 3XL (using a Corning Gorilla Glass 5) also gets scratches easily. Youtuber Geekyranjit said in a tweet”Scratches on the Pixel 3 XL near the earpiece damm this gorilla glass is a scratch magnet, now wondering if I will be able to get screen guard for Pixel 3XL. So Should You Use a tempered Glass or Screen Protector? The straight and simple answer is yes. 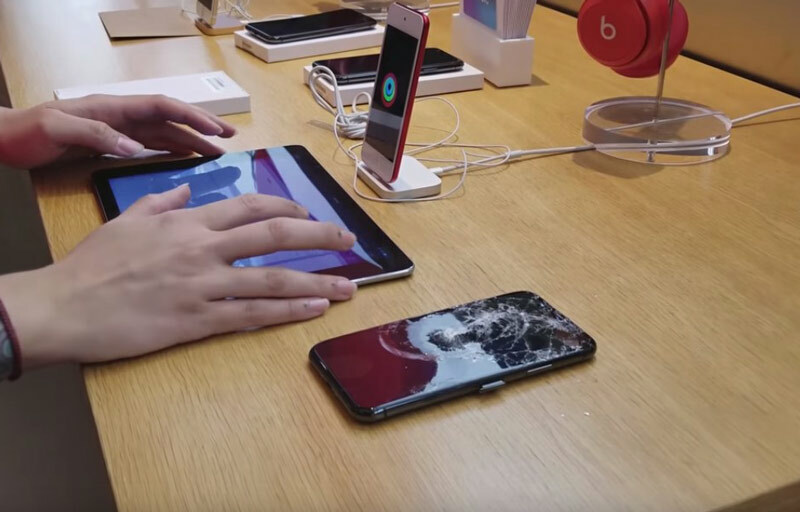 It is best to use the Screen Protector or Tempered Glass to prevent micro-scratches or even the glass shattering of the display due to a sudden fall. Moreover, to keep your phone new and have a good resale value, I think it is a must to use a screen protector along with a case. Which Screen Protector You Should Buy? There are several available in the market (offline stores) that start at Rs. 50 or 1$ to those that cost as much as $20 or Rs. 1200. I usually buy from the retail stores as there are hardly any trusted brands and there is a big problem of counterfeit products in this unregulated market. I think for a budget of $5 or Rs. 200-300 you can get a decent screen protector (tempered glass which is thin, flexible and strong). 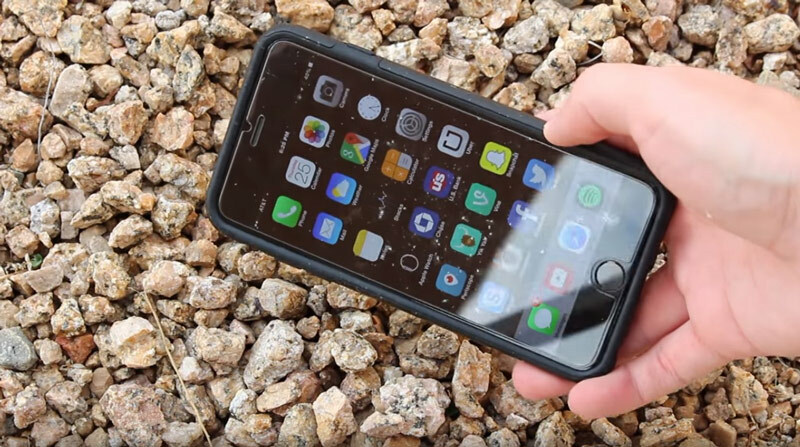 Why You Should Always Use a Screen Guard? It protects your mobile screen from micro-scratches, it does not matter if you have an iPhone or Pixel or Samsung S9, you need it. Even the Phones like OnePlus 6 with Corning Gorilla Glass get scratches, so it is advisable to use a protective glass. In case of a sudden fall or accidental drop the Tempered Glass will protect the screen, else you will have to bear the costly repairs. Most phones don’t come with accidental protection or free screen replacement so it is logical to protect the displays. Protect your eyes from glare, some of the premium scratch guards do help reduce glare. The oleophobic coating may help reduce the fingerprint marks on the screen to some extent. Major Disadvantages of Using a Screen Guard. It reduces the touch responsiveness and delightful feel of the naked glass screen. If the quality of the screen guard is not good can reduce the color accuracy and viewability. Screen Guards with small or large size than the display looks odd and may come out easily. You May Also Like Simple Tips On How to Increase the Battery life of Your smartphone, How to remove an email Account from Your Android Phone. Previous articleHonor Play Review – (Camera, Gaming and Experience) Better than Poco F1?